Premiere at K3 Congress Centre, home of the Organizing Committee of the Hahnenkamm Races: ORF broadcast the Team Captain’s Meeting live on the special ORF Sport Plus channel. What did viewers get to see? On the one hand, a detailed report by FIS Race Director, Markus Waldner, who also confirmed the programme for tomorrow (start at 11:30 hrs). On the other, several comments from KSC President Michael Huber, who also informed that the races will be screened to 160 countries this year. Chief of Race, Axel Naglich, also wished Klaus Brandner who fell in training, a speedy recovery on behalf of the entire HKR team. 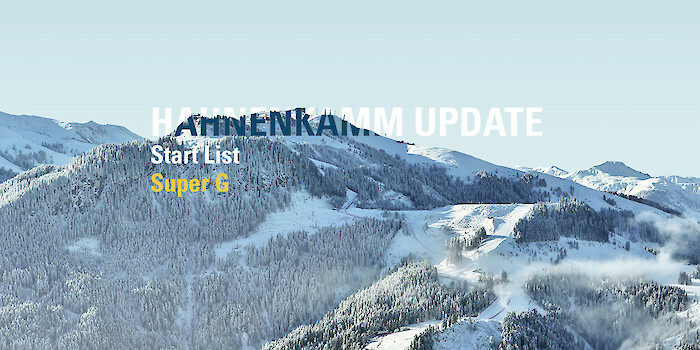 The meeting was followed by a draw for the start list for Friday's Super-G, which will be opened by Germany's Andreas Sander. Marcel Hirscher will be the first Austrian to go into the race with start number four. Print the entire start list here.